Design Ideas and the Australian Garden History Society Journal. She is a previous ABC TV Gardening Australia employee advising TV viewers on their horticultural issues. Currently she writes the gardener profiles for Your Vegie Patch Garden magazine. Over the last two years Sandi has published many popular gardening eBooks. 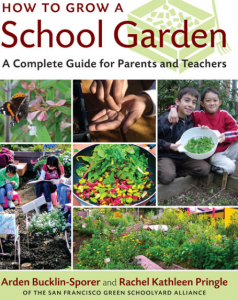 She has recently just published A Gardening Guide for Schools and Community Groups Starting a Vegetable Garden and Orchard which aims to provide good quality horticultural information for those teachers and community centre staff who don’t know anything about gardening or where to start. She also is involved in several gardens as a volunteer; Bishopscourt (The Anglican Archbishops house in East Melbourne) and Garden Co-ordinator of La Trobe’s Cottage for the Friends of La Trobe’s Cottage. For the past 2 years she has been researching what plants were available to Charles La Trobe during the 1840s and 1850s. She has enjoyed the challenge of sourcing plants from that period, which will differentiate the garden from Victorian gardens and make it more authentic. 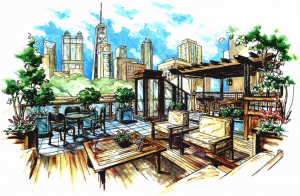 Landscape architecture – for you to try? 15 Ronald Crescent, Tenila, Queensland 4680.